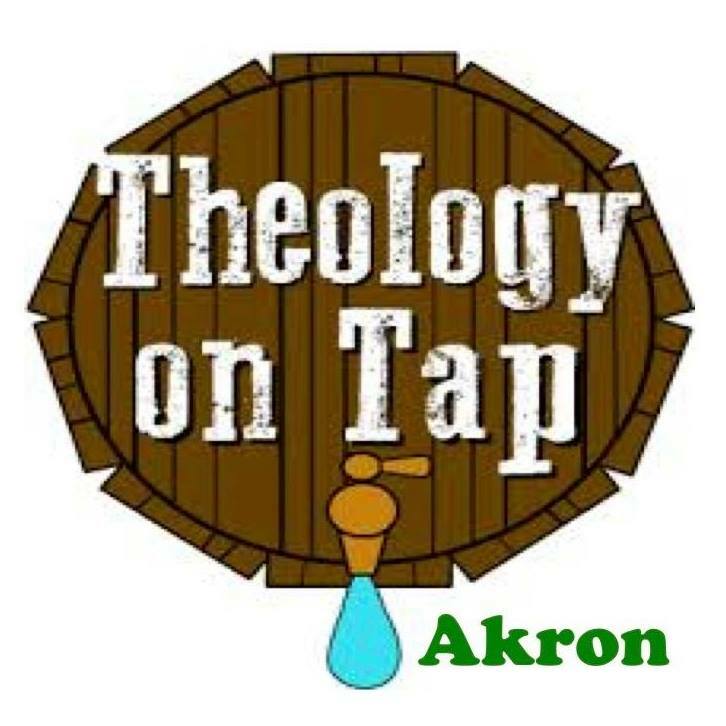 Theology on Tap Akron is excited to announce that it will be at The Harbor Front Grille & Party Center on Wednesday, June 13th at 7:00 pm! 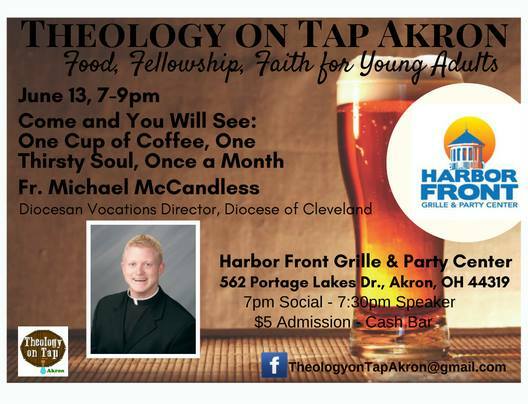 Theology on Tap welcomes all young adults to come listen to Fr. Michael McCandless, Cleveland Diocesan Vocations Director, speak on "Come and You Will See: One Cup of Coffee, One Thirsty Soul, Once a Month." Admission is $5 and includes appetizers. The bar will be open for those who would like to purchase beverages. Come experience faith, fellowship, and food with other young adults in their 20's and 30's at Theology on Tap Akron! The Harbor Front Grille & Party Center is located at 562 Portage Lakes Dr., Akron, OH 44319.